← Extremely Loud and Incredibly Close, but not Very Obvious. 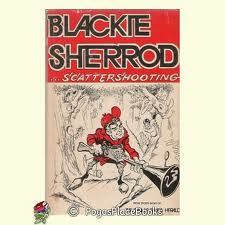 When I was growing up one of the things I m ost looked forward to was Dallas Times Herald/Morning News sports columnist Blackie Sherrod’s “Scattershooting” columns. These were what psychologists might call free association, or just letting your mind go anywhere if not everywhere. Given all that is always going on in my world, my mind is continually scatter shooting if not scatter shot, so I thought I would borrow from the great Blackie Sherrod the namesake for my blog. Here is some Scattershooting, scattershooting. Scatter shooting while wondering whatever happened to TV test patterns? …. Why do they name internet junk mail “spam” when it’s full of bologna…..Speaking of the internet, two of the most famous internet companies are Google and Yahoo. I wonder what names came in second place? ….Do they still give away prizes in Cracker Jacks?…I have been calling our friends at channel 8, the ABC station in Big D to find out more about the “Spirit of Texas.” Should we consider it from eschatological, ontological, soteriological, or ecclesial perspective; still no answer but will keep you posted…. Still pondering the eternal question of why people park on the driveway and drive on the parkway, and while on the subject of parkway, why is there never any way to park at the Parkway Diner, one of my old haunts in Wichita Falls. … What do they do with all the caffeine they remove from coffee, tea, and soft drinks? …. I think that the reason the Knights of the Round Table fell apart was that the said round table did not have a lazy Susan… Biologists have discovered that the majority of walruses are right “flippered” rather than south flips… I am still waiting for “them” to make chocolate chip fortune cookies… and speaking of fortune cookies, who else feels cheated when they get a proverb cookie rather than the fortune variety?… So the Tennessee Waltz is a song about a dance called the Tennessee Waltz? Therefore you are dancing to a song about the dance you are currently dancing. Now that is scattered.